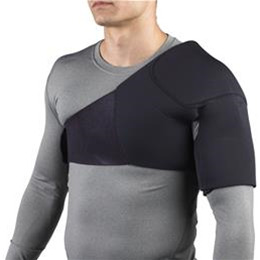 The OTC 327 shoulder support protects and supports the shoulder following injury or surgery. Handcrafted construction includes invisible stitching and heat seal seam tape for added comfort and durability. Effective support and value to keep you comfortably active. Excellent for use in athletics and occupational activities.